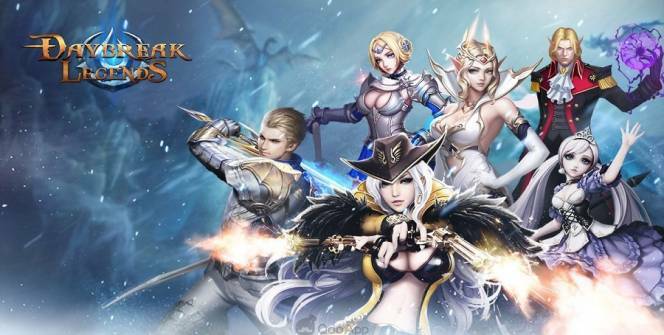 Daybreak Legends: Origin for PC is an MMORPG with a massive world for players to explore. Players are able to pick from classic MMORPG fighter classes that include Warriors, Puppeteers, Mages and Bounty Hunters as they go on amazing adventures to defeat dragons, raid villages and join guilds. 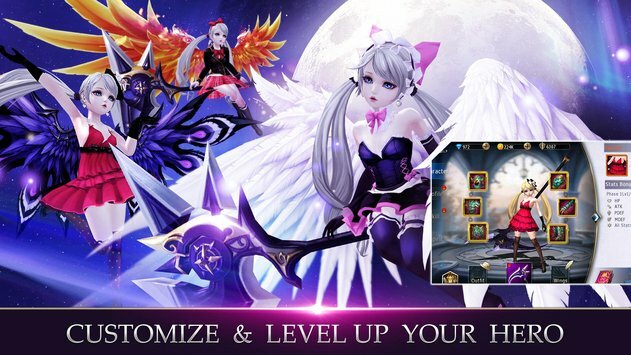 The mobile market is so saturated with MMORPGs that this release made it to virtual shelves with minimal fanfare. There are so many options in this genre that most players pick one, play for a few hours before giving up and switching to one that’s more exciting. Thankfully, Daybreak Legends: Origin for PC solves this problem by providing a fun MMORPG experience that is worthy of your attention. The game starts out by giving the player a choice from one of four battle classes. Each battle class has its strengths and weaknesses however they are gender-locked which means that the mages and warriors are male only while the puppeteers and bounty hunters are female. Despite this, each character type has special attributes that have a big impact on your gameplay experience. Once you’ve selected the character the game brings up a cutscene to set up the story. Put simply, the game centers around a violent quest for power once your character is forced back into the earthly realm. Once the cutscene works you through the controls such as attacks and movements, it leaves to your own devices in your very first boss battle. After the first battle the player is able to interact with people in the town and get to know how they can help you improve your battle-strengths and implement upgrades which are implemented by using simple menus that will show you how to equip your armor. Despite the large number of in-game menus, they work in well with the joystick in one corner of the screen for movement, and buttons for attacks. Good graphics are hard to implement on mobile devices. Most developers have a choice of keeping it simple but functional, or going big and beautiful but full of bugs. Daybreak Legends: Origin toes the line in-between to deliver console-grade graphics that work well for the most part despite the odd frame-rate drop. Limited customizable options for the character that you play as means that your character is indistinguishable from other players of the same class which makes things very bland. The lack of ingenuity when designing the characters also shows in how terrible the voice-acting is and the inexcusable number of badly constructed sentences and misspelled words. The storyline isn’t anything special either because its only got enough depth to keep the game trudging along. Daybreak Legends: Origin for PC is a game that tries to set itself apart from the large number of MMORPGs already out there by providing console-grade graphics which work fine unless you are using an old device. Other than that the rest of the game from battle mechanics to standard gameplay are average at best but it will give you hours of fun times on a good graphics card. Sometimes when playing Daybreak Legends: Origin, bluestacks ask you fee to pay but gives you option to download some apps. Every time it asks you just select “Install apps” and continue using it free. I hope you enjoyed this article, please rate and share. If you have problems running Daybreak Legends: Origin on your desktop or any other issues, leave a comment below.